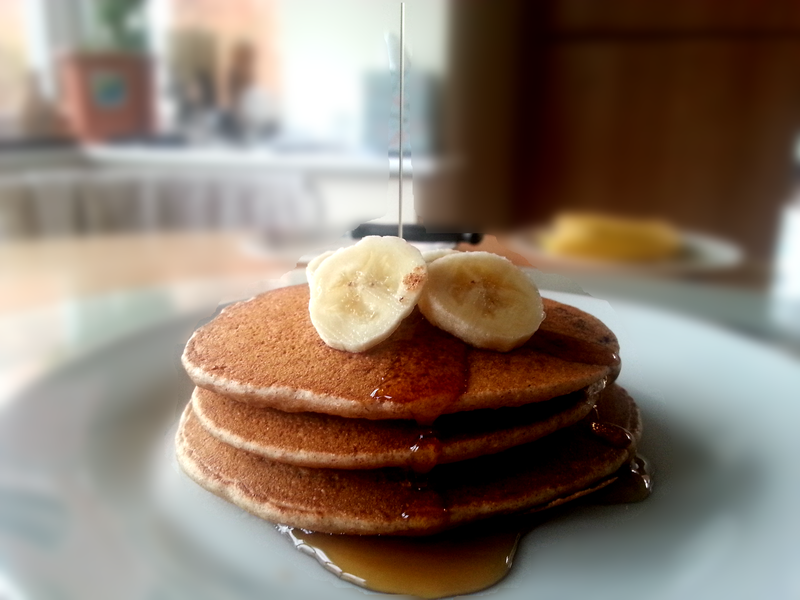 These are healthy pancakes with Xylitol (available in most supermarkets or online) and spelt flour. You could also use any other sugar replacement. Super quick, tasty and you just add your favourite toppings! And who says we should only eat these for Pancake day?! Toppings you could use are: maple syrup, banana, blueberries, other fruit, honey, nuts, chocolate spread, peanut butter. These make about 6 – 8 mini pancakes each about 5 inches wide. Pre-heat your pan and in a small bowl add all the dry ingredients together. Slowly add in the milk and mix well until there are no lumps. After about 5 mins, or until the pan-side of the pancake it cooked, turn over the pancake. Cook the pancake on the other side for a further 5 mins.